Peter Tong of Dartford won the London regional final of the Tea Council’s Young DJ competition at Southgate’s Royalty last Friday, establishing a good rapport with the audience and playing some funky goodies in the three minutes allowed him. The first annual general meeting of BADEM (British Assn of Disco Equipment Manufacturers) will be held on Thursday next, March 30th, at 6 pm in Luton’s Crest Motel. Stage & Catwalk Hire Ltd (01-485 7707) supply incredibly clever staging, rostrum or catwalk structures made in collapsible box-shaped units which clip together, leaving cut-outs for power cables to snake through them, the whole very rigid stage then being covered in smooth looking heavy duty vinyl – a luxury job, as used by ABBA: The Party. Sizzling hot import scorcher now out here on 12in, a super fast flier with Donna Summer-ish vocal A-side, instrumental flip. Watch it hit! The impossible dream, an album with 100 per cent useable tracks . . . all of which will be used by fans of the man. Chart contributors, please note that gremlins made a mess of last week’s piece about the new chart system! 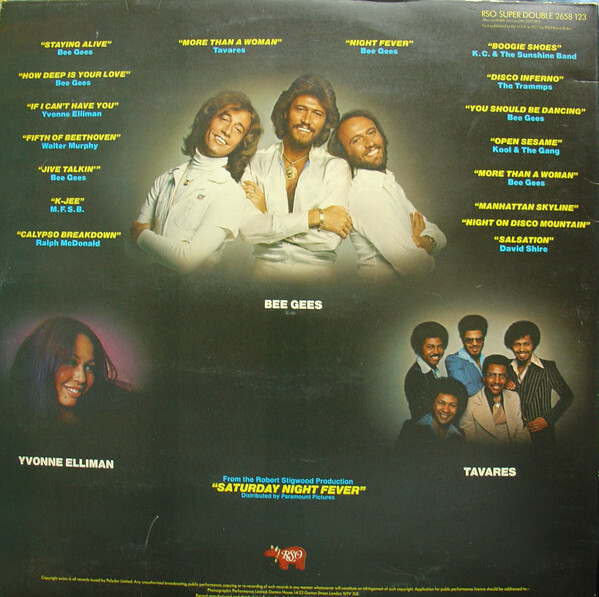 For those of you who’d like more room than just a Top 10 and three Breakers, the new idea is to expand the 10 into a Top 20, but because of the point-awarding system by which the finished national disco chart is compiled, the “Bottom Ten” should be given either 3, 2 or 1 points by you, according to dancer reaction. If you can’t cope with 20 places, stick to the old Top 10 and three Breakers. If you’re only playing established disco hits, why not increase your chance of a namecheck by sending in a Jox Yox, Mix Master, Disco Date, or other info. Now that there’s a Disco Top 60, the DJ Hotline has been narrowed down to non-hit titles . . . but this does not mean that the hit-only charts are not needed too, as they’re vital! Steve Allen, regularly at Peterborough Annabelles and USAF Altonbury (and mobile with entertainment agency on 0733-69589), expands on the Eastern Soul topic by explaining the East Anglia Connection. “The funky influence in the East Anglla area at least can be tied closely to all the USAF air bases which stretch from Ipswich to Huntingdon. Although not strictly open to the public, being intended for the American servicemen’s entertainment, the bases’ clubs get a large percentage of British audiences – particularly females! It’s interesting to note, too, that a lot of previously “Northern Soul” DJ’s are now switching to funk and New York sounds, with the emergence of a completely new scene up north. Record Mirror are looking for a keen, committed soul and disco-orientated journalist who can write well – if that’s you, contact Alf Martin! Also, Harrow-based Neil James (01-427 2257 evenings) needs a new gig as Greenford Panels is no longer a funk venue. Hospital DJ John Clancy’s home-made broadcasting studio in Gillingham is available for very low rates to Medway jocks looking for high quality though non-professional practice facilities and tuition – call him on Medway 53992 (evenings). Jersey-based Paradise Island Discotheques and Mainstream Productions have moved to 2-6 Belmont Road in St. Helier, where their new DJ studio will make jingles and commercials. Their disco agency books jocks for work in Jersey (call 0534 71715), while their disco record promotion department covers the Channel Islands. Flashback Records of 3 Marlborough Road, Wroughton, Wiltshire (0793-812327) who supply many West Country and mail order jocks with all UK and US issues, start a series of promotion nights at Newbury Hamiltons Club this Tuesday (21) giving away free records – DJ’s can get free tickets by sending a card/letter heading and sae to Flashback, who are open to offers of other promotion night venues. Here at long last is that superb soul slowie with the Dells like doo-wop sound, hot on import since last autumn. Definitely my own fave of ‘77, and a must! Already hitting, the dynamite jaunty funker joins ‘Jack And Jill’ and ‘Get Down’ on an extremely strong LP. Chart contributors, can you please try to get your charts in to me by Tuesday this coming week, as I have a gig on Wednesday (my chart compiling night normally). Also, it might be a good way of spreading out the range of records available for the disco chart if, instead of the three Breakers as at present, your Top Ten was followed by up to ten more titles according to that reaction. So, that’s a Top Ten plus ten more, marked from 3 to 1, if you feel you can cope with the extra load, sent as usual to James Hamilton, Record Mirror, 40 Long Acre, London WC2E 9JT . . . and please, try to he consistent with the “bottom ten”. Only add titles that are likely to last a few weeks. Chris Hill has left Ilford’s Lacy Lady, as it’s due to close soon! However, he’s appearing every Thursday at Harlow Tiffany’s, opens a new Friday residency next week (17) at Maidenhead’s Romans in the Bell Hotel, and this Saturday is at Southgate Royalty. More important than that, though, he’s being filmed next Tuesday (14) at Camberley Frenchies in the Cambridge Hotel, London Road, for a London Weekend TV programme about Britain’s new disco “underground” . . . and he needs all the best funky dancers there to make the show go! Get there as early as possible in the evening if you want to get in on the act. Incidentally, Chris recently did a gig in Manchester, where his echo machine effects, compulsive groove, and some mooners from Leeds fairly freaked ‘em! Stargard and War’s current hits are being coupled with their follow-ups’ A-sides for special full-length 12in limited editions (15,000) on March 31st, for just 99p! South-Eastern jocks shouldn’t miss SEDA’s Disco South East 78 Exhibition this coming Wednesday (15) at the Hilden Manor Hotel, London Road, just outside Tunbridge, Kent. Open from noon to nine, the show will have about a dozen different equipment exhibitors and various record reps – sadly, I can’t make it this year. Roger Squire’s disco jingle service is being expanded by the pioneering Alan Bowley, who hopes to bring a fresh integrity to the business. Using all exclusive material, new cartridge and cassette ranges being launched under the “Format 78” tag include a “Star Disco Set” with outer space noises incorporated, and a regular three-monthly series of sound effects in eight minute packages. Further, Rowley has restructured the Roger Squire’s Studios’ radio tuition service into three different “Programme and Production” courses, to cover all aspects of radio technique, a beginner’s three hour course for £32.40, a more advanced standard four and a half hour course including programming, interviewing and commercial production for £48.60, and a completely comprehensive eight hour course including an audition tape featuring news, a two-way interview and a self-created commercial, for £81.00. Sizzling hot 12in with the ‘Philly Classic’-culled 9:39 remix which became the Reading All-Dayer’s anthem, and a 6:14 flip! Rumoured also on 12in, this Brass Construction-ish driver is the hip funky import sensation of the day! US chart-topping compilation double LP, with lots of recent Bee Gees hits, other goodies by KC & The Sunshine Band, Trammps, Kool & The Gang, Ralph McDonald, Walter Murphy, MFSB and Tavares, and more – all from the upcoming disco movie smash. At last, here’s their great funkily churning rhythm-rattling thump treatment of the Trammps hit, plus an equally good grooving Brass Construction-ish flip.